All is good and right in the world now that I have the opportunity to bring to you, dear reader, some truly excellent news. 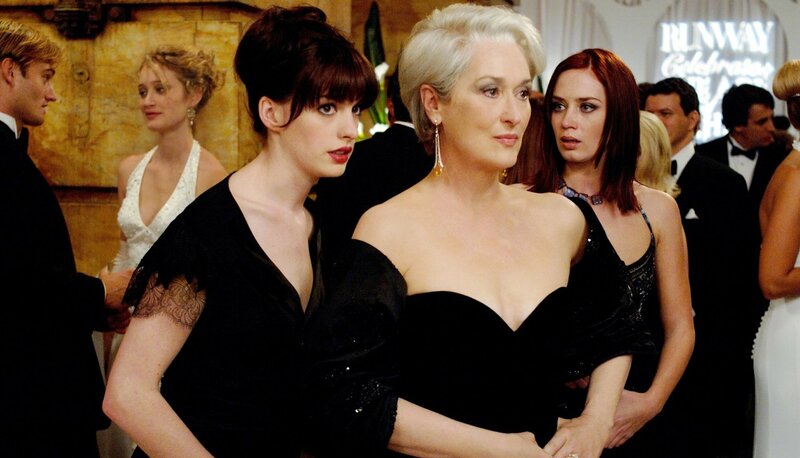 If you, like me, immediately fell in love with The Devil Wears Prada when it was first released and then became increasingly obsessed with it as the years went on and over repeat viewings, then you know that Andy Sachs (played by Anne Hathaway) is not the actual best character in this movie. And no, it’s not Miranda Priestly (I’m not going to apologize for saying that either). In fact, the best character in this movie — by a country mile — is Emily, played by Emily Blunt, Miranda’s first assistant, and frankly, the best assistant. I mean, who else loved their job more than Emily? Who sacrificed more to make Miranda happy than Emily? Who was devoted to getting those Hermès scarves back to the office and on time? Emily. So, if you, like me, are eternally in love with Emily, then you’ll be happy to know Emily’s story isn’t quite finished. That’s right: a book sequel to The Devil Wears Prada will be coming out soon, and it’s going to focus solely on Emily and her life after working for Miranda. The book will be called When Life Gives You Lululemons (I. Am. Dying.) and the plot, according to Entertainment Weekly, is absolute heaven. When we meet up with Emily again, she will be working as a high-profile image consultant who is forced to travel to Greenwich, Connecticut, for a job. The job, you ask? Working for A-lister Karolina Hartwell, who has to do a lot of image rehab after a DUI. It sounds like there’s a potential for fireworks here, as Emily desperately needs to do a good job helping Karolina, although it’s not entirely clear why (read: drama). We learn in the additional excerpt from the book provided by EW that Emily is also married to a guy named Miles and that he has a “beautiful body,” although it’s not clear what he’s actually like. Something tells me there might be something better awaiting Emily once she arrives in Greenwich. So, I know this is only going to be a book for now, but uh, when can we turn this into a movie? Oh, and when is Blunt available to reprise the role? Let’s make it happen, people, because I need to see this on the big screen ASAP.